Soy sauce is the most essencial condiment of Japanese dishes. It is made from a paste of boiled soybean, roastd wheat grain and brine. Longer fermentation period makes more aromatic soy sauce. 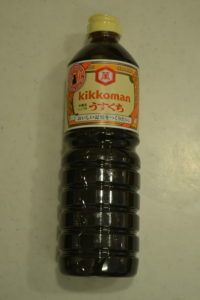 Koikuchi (dark) soy sauce is the must-have. It is an all purpose soy sauce so you can use it for any of Japanese cooking. Usukuchi (light) soy sauce can be used when you don't want to make your dish in a dark color, especially if using a beautiful color ingredients like white meat fish or grean peas. Usukuchi tint your dish but contains more salt. (Usukuchi 18% salt, Koikuchi 16% salt) Make sure to use smaller amount than Koikuchi. Ushukuchi is used especially in Kansai (west of Japan) region for its delicacy. Tamari is a dark, syrupy texture soy sauce for Sashimi raw fish or dipping sauce. Slightly sweet but strong soy bean flavor will bring a vivid impression to your dish. I use Tamari for Braised Daikon-radish in winter to warm up body from inside. When you use Tamari for Chinese inspired dish, it is so good! Shiro soy sauce and Saishikomi soy sauce also be seen in Japanese Cooking. Shiro means White in Japanese, it is made from wheat. It makes clear but tasty Dashi broth. Saishikomi is produced by adding sweatner to Koikuchi. 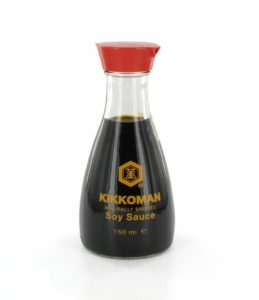 These soy sauces are used more in proffesional kitchen. 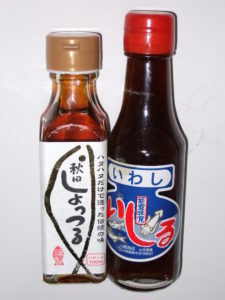 Shottsuru(left) and Ishiru(right) are Japanese fish sauce that originated in along the coast of Sea of Japan. These are made from anchovy, mackerel or squid. These fish sauce are not so strong like Nam pla of Thailand or Nuoc mam of Vietnam. We use them as a "hidden flavor" . Some poeple call them "Uo shoyu", that is litterally means fish soy sauce in Japanese although contain no soy. Sake is often used in Japanese cooking. Sake is a Japanese rice wine made by fermenting rice and molted rice. Sake generally contain about 15-16% alclhol which is produced by fermenting process. The starch in rice is converted into sugars before being converted to alcohol. When alcohol is burn off in a cooking prosess, naturally produced sugar in sake will bring umami to Japanese cuisine. 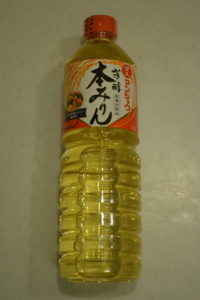 Mirin is one of the three most inportant condiment of Japanese cuisine. One is Soy Sauce, the other is Sake, and the last one is Mirin. 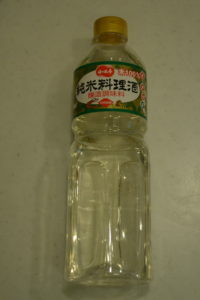 Mirin is a sweat rice wine made from sticky rice and molted rice. Its sweatness is from fermenting process. Mirin adds Umami and shinny texture to the dishes. You can substitute Mirin to sugar but the result is not the same. Mirin is indespensable for those who seriously cook even in the house kitchen, like you! Katuobushi (bonito flakes) is the most important ingredient for all Japanese cuisine. Katuobushi makes so flavorful broth called "Dashi". It is the "Umami" itself. There is no substitute. Katuobushi broth (="Dashi") forms the base of many soups such as clear soup and miso soup, and also makes many kind of sauce. 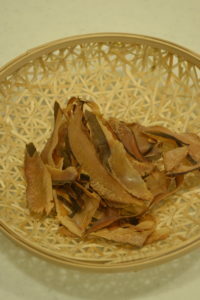 Katsuobushi is made from fermented and smoked skipjack tuna or bonito. Shave thinly when use. But I like to use thickly shaved Katsuobushi (pic above) because it makes so intense and impressive broth. Kombu (dried kelp) mainly use for dashi broth. Kombu dashi has very delicate aroma when use it properly. Choose thick and a little dusty with white powder when you buy it. 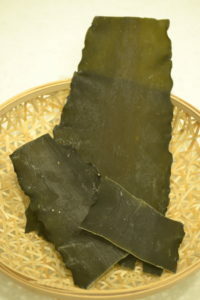 Kombu dashi is especially popular in Kansai area. The other famous dish using kombu is Tshukudani. The texture of Tsukudani is similar to dried fruit, like dried apricot or dates. But the taste is sweet and savory umami bomb! It is goes very good with freshly cooked rice in hervest season. Vegetarian and vegan can enjoy Kombu dishes. 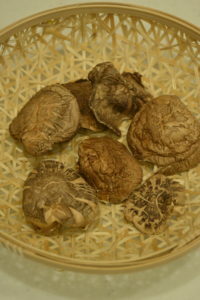 Dried shiitake mushroom has unique texture and aroma. Soak in luke warm water for 1 hour, or let it sit in a frigde over night before use. It makes wonderful broth if you add the flavorful soaking liquid to Kombu or Katsuobushi broth. Rehydrate shiitake mushroom cap has meaty texture, so Vegan likes to use it as a substitute for meat.